The pearly gates of the Himalayas - Sikkim is the home to some of the loveliest peaks one could venture into. Snow clad mountains and valleys brimming with flowers, not only can you experience a walk in the beaten tracks nested in the foothills of the Himalayas but also madcap in some adventure thrills that Sikkim has to offer. The state is largely known as the window of the Himalayan range and adventure sports like Mountaineering is a regular happy pill among the tourists and locals. The Sikkim Himalayas is the quintessence of the world’s numerous peaks and offers the off beaten rocks to climb and conquer great heights. Sikkim is blessed with world famous mountains ranges among which there are varieties of adventure activities for tourist to partake. In the midst of the peaks one can escalate to some of Himalayas best expedition trails like the Frey Peak of west Sikkim named after George Frey who attempted to climb this peak with Tenzin Norgey is situated at an altitude of 5830 meters, a beautiful captivating peak near Rathong Glacier or a walking dream destination to Lama Angden in the north with an altitude of 5,868 meters, there is something for everyone to venture onto. Experience breathtaking view of the ranges that trail through enchanting meadows, lakes and fields filled with rhododendron and oak forests. Mountain biking is just a way to lighten your stress buds, a relaxing anti-dote would appealingly be riding in bicycles looking at some pristine landscapes of the hills of north and west Sikkim. Unravel some enchanting meadows and ride along the roads less travelled, and meander in the magnificence of the scenic beauty of mountains. 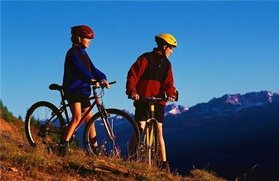 The rugged and dramatic trails for bikes rides offer exciting thrill to the adventurers and explorers. Look forward for some bewildering trails you can whirl on your bike tour. This beautiful state of Sikkim gushes with its rivers, Teesta and Rangit, they are two vital source of water of the state. 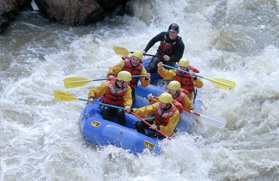 Teesta offers great rafting and kayaking opportunity, with a number of small tributaries flowing down stream and it has grade IV rapids while the great Rangit River is one of the major tributaries of the Teesta River, and it offers superb white water rafting option. Lunge into an adventure that these two tributaries has to offer, a series of rapids with intensity and force that are enough to offer adrenaline rush. 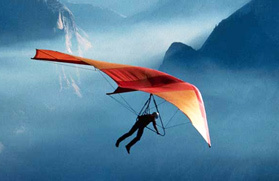 Things to do in Sikkim are unending, its vibrancy and serenity has a whole other story but if you haven’t tried hand gliding you have not experienced this Himalayan state well yet. Come feel the ultimate adventure and fly through the clouds and gaze the countryside and ranges from the sky above. Indeed, one cannot resist the temptation, the excitement of freedom to fly off beyond clouds. If the entire thrill got you set aback, complete your adventure holiday by hopping for the Yak Safari and tour like a boss. Slowly gaze into the wild and steep slopes of the region and look at the different activities of the vicinity. Its unique worldliness is available in different parts of Sikkim. The tour will lead you to some spectacular landmarks like the Tsomgo Lake and various other drop in and out destinations, besides, being carried by Yak itself is a magical experience altogether. 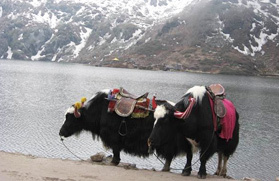 Yak safari helps you to take time and absorb Sikkim’s beauty. Northeast India has the potential to become one of the best sporting destinations and Sikkim is quickly growing in terms of a dream destination to cover. 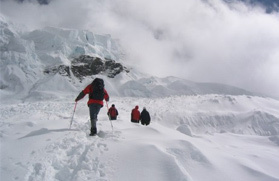 One can take the adventure tourism in Sikkim through an approved Adventure Tour operator like us to get an ultimate experience that this thrilling and beautiful state has to offer.